Your dog has lymphoma. What now? Do you undertake a course of chemo? If so, which one? What about holistic care? Are you finding conflicting information? Perhaps you are unsure of how to approach your vet with questions or advocate for your dog in the face of conflicting advice. That was the position I found myself in when a canine lymphoma diagnosis threw my family for a loop. 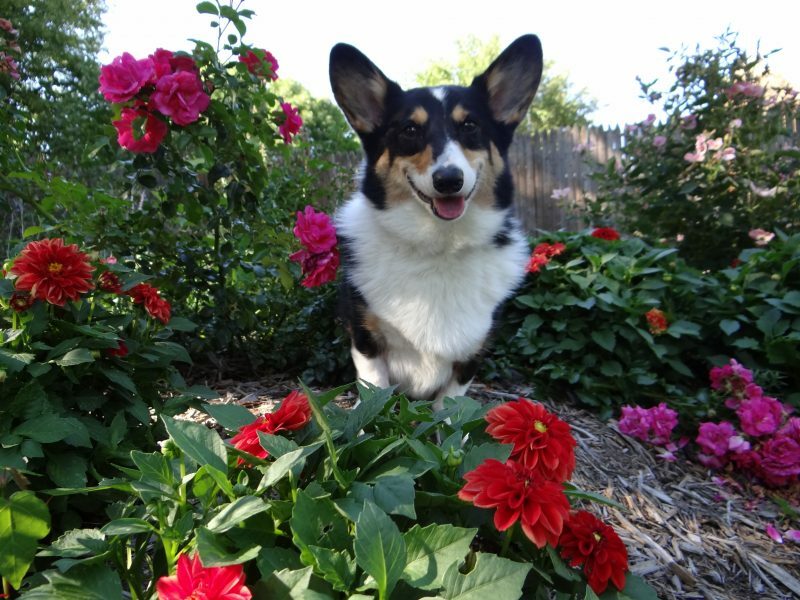 In May 2015, I learned that our corgi Ty has lymphoma. 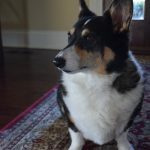 Since then, I have learned more than I ever thought I could know about canine lymphoma, from its symptoms, diagnosis, and prognosis, to treatment and diet. From that, I gained a lot of valuable information and found some excellent resources on canine lymphoma. I put off writing about it for awhile though because it simply is not very pleasant to use Ty’s illness for blog post inspiration, nor is writing about it a fun experience. But I have gained a lot of knowledge to share, and one place I found a void in my research was pet parent stories of their own journey through dealing with the disease. I found many good articles on treatment, but not so much on how to work through the many personal decisions required and how to personally advocate for your dog in the face of often conflicting medical advice on lymphoma treatment. 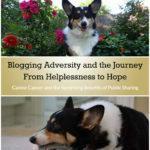 I hope to fill that void a bit with this ongoing series covering Ty’s journey through canine lymphoma. This is the first post of hopefully many, and in it I address the initial personal decision making side of the disease. Later posts will cover the nitty gritty basics such as canine lymphoma symptoms, treatment and diet, along with Ty’s story. Your Dog Has Lymphoma. What Now? When I learned that Ty had lymphoma I felt like the world was ending. I was told that my sweet little boy, only 6 year’s old, suddenly had perhaps as little as a few weeks to live without treatment. As is often the case with cancer, everything happened quickly. One day Ty was fine, and then a week later he was weak and not eating. Soon after, we had a full diagnosis of stage Vb lymphoma (the worst stage you can be at) and we started chemo. Lymphoma often comes on quickly, or it is sometimes found through abnormal blood work when the dog is still doing just fine, thus catching the pet parent by surprise. Either way, from the very beginning, choices must often be made quickly, with a lack of time to fully research the options. Below are a few of the first step decisions that I faced. As I write dedicated posts on these topics, I will come back and link to them here. (1) Diagnosis Decisions: Right off the bat there are decisions to be made regarding how far to go with diagnosis and staging of the cancer. An ultrasound and fine needle aspirations are pretty much standard for lymphoma testing. Beyond that, a vet may recommend a bone marrow aspiration, which is an uncomfortable process for your dog. In my case, I was not willing to do a bone marrow aspiration solely for the purpose of determining the stage of the cancer, nor was that recommended to me. I was willing to do it to differentiate between Lymphoma and Leukemia if it became necessary, but we did not have to go that far. Other diagnosis decisions involve whether to additionally test the aspirate for B cell v. T cell lymphoma, which can be useful for knowing prognosis and treatment. We tested for T cell in order to know in case we wanted to use some very new monoclonal antibody therapy treatments, also known as MAb, that are just now becoming available and have different formulas for each B cell and T cell. We learned that Ty’s cancer is B cell, which often responds better to treatment. Dogs with B cell lymphoma are also potential candidates for T-cell infusion, which is a very promising new treatment. (2) Treatment Decisions: One of the toughest decisions to make can be whether to treat your dog with chemotherapy, treat through less expensive means such as prednisone only, seek hospice treatments simply to make the dog comfortable, try holistic treatments, or some combination. There are also the new monoclonal antibody treatments (MAb) and T-Cell infusion. To make matters more confusing, starting on predisone alone can preclude use of chemo down the road should you change your mind, there are multiple chemo protocols to choose from, and holistic vets and conventional vets sometimes disagree on diet and the use of various supplements. When faced with so much information, coupled with the need to make quick decisions, it can be overwhelming. We decided to do full chemotherapy using the Madison Wisconsin protocol, also known as CHOP. This is an intensive protocol that is also the most expensive, but it also has the best remission and survival rates. Update: We later became enrolled in the Canine T-Cell Infusion Project, which is a new immunotherapy treatment that offers the potential for a very long or permanent remission for dogs with B cell lymphoma. Follow Ty’s process with that here. Note, throughout this series, I will not make any judgment calls on the best course of treatment. 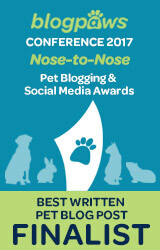 It is a very personal decision and every pet parent’s circumstances are different. Just because I chose the most expensive option does not mean that is the right option for everyone. (3) Monetary Decisions: The course of treatment is often directly tied to what the pet parent can afford. For those with low income, there sometimes are places that can help. Often these are not made known to pet parents by vets. Ask for information about financial assistance, and search the internet for resources. You might be able to find financial help. I plan to cover some of those resources in a later post. 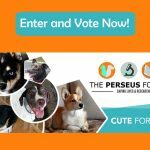 Update: Paws 4 a Cure is one such organization that I recently donated to, as is Magic Bullet Fund. What tests are absolutely necessary for a diagnosis as compared to only useful for staging? The stage might not really matter in regard to treatment. So you might decide to forego some tests to save money and avoid discomfort to your dog. Would the treatment be the same regardless of the stage? It often is, but might not always be. Will you test for B cell v. T cell lymphoma? I recommend this if you think you will pursue chemotherapy or other new (but expensive) treatments such as monoclonal antibody therapy (MAb) or T-cell infusion, because the treatment protocol might vary based on the type of lymphoma. But if you don’t plan to do that, then this test probably matters only in terms of prognosis. T cell dogs tend to not live quite as long a B cell ones, but there are also always exceptions to that. 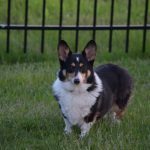 What is my dog’s prognosis without treatment, with prednisone only, and with different chemo protocols? These will vary and your oncologist should be able to present all of the options with median survival rates. My oncologist gave me a folder with printouts of all of the schedules, costs, and median survival times. What are the costs of each course of treatment? Your oncologist should have cost information on all of the options. What are the side effects of each course of treatment? Chemo, while not as hard on dogs as it is on humans, does have side effects, so does prednisone. What can I give my dog to prevent side effects? Your vet might give you various medications to help treat or prevent side effects. What supplements are recommended for my dog and what should be avoided? This is an area of controversy for some vets, so be prepared as the journey goes on to reexamine this matter. More on that in the next section. Should I give my dog a special diet? There are books and internet articles on homemade cancer diets. There is also a commercial cancer diet made by Hills backed by a scientific study and other commercial diets that are high protein, which can be better for a dog with lymphoma. Some vets will not be supportive of homemade diets, and there is especially quite a bit of controversy over feeding a raw diet to a dog with cancer. Ask your vet and also be prepared to do research to draw your own conclusions. Holistic vets and conventional vets sometimes disagree on the diet and supplement issues. Can I discontinue vaccinations? The answer to this should be yes. 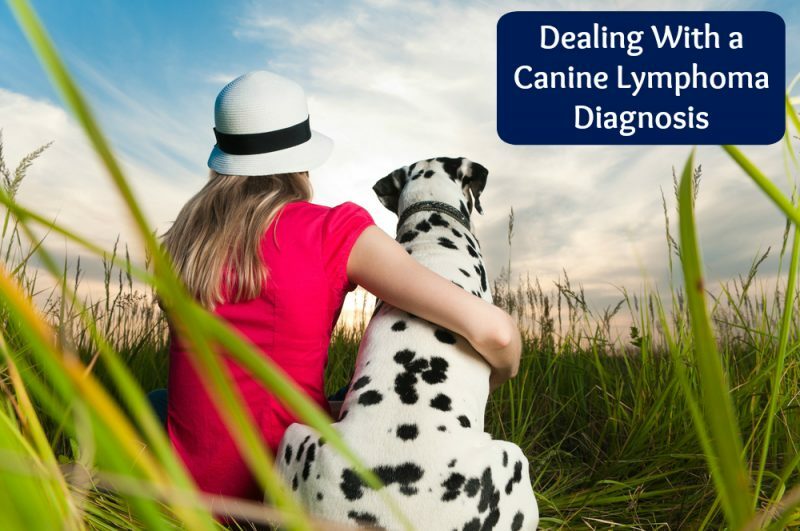 It is a rare vet who will vaccinate a dog with lymphoma and many will provide letters to take to your town or city to waive rabies vaccine requirements. Most will recommend that you continue with heartworm, flea, and tick prevention. More on those tricky issues in a future post. What are carcinogens in the environment that I should avoid? Your vet may warn you against lawn chemicals and other potential products that could affect your dog’s cancer. Are there agencies or charities to help me with the vet bill? Are there interest free or low interest credit programs to help? There are various charities that help low income people with veterinary bills and many vets offer care credit, which sometimes comes with no interest for one year. When can I expect to see improvement with treatment? I was very surprised when Ty bounced back to almost normal within a couple of days. I hadn’t asked this question and had expected him to be sick longer. If you choose to forego chemo, you will want to ask additional questions about medications you can give to make your dog comfortable, how long you might still have together, and what you can do when the time to help your pet move on arrives. Those are not pleasant questions, and even thinking about them can be upsetting, but having the information up front is extremely helpful. (1) Giving antioxidants during chemotherapy: Some holistic sources say to give various supplements with antioxidant effects, other sources say not to because it can decrease the effectiveness of the chemo. Most seem to agree to avoid mega doses. 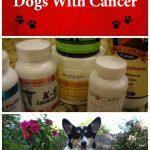 My personal decision was to wait until chemo is done to use supplements with antioxidant effects such as K-9 immunity or Apocaps (disclosure, Some Pets uses affiliate links when we link to Amazon.com). My oncologist was OK with it, but I was on the fence. (2) Diet: Now that Hill’s has done a study on high protein, low carb food in dogs with lymphoma and entered the market with a prepared food, it seems to be more acceptable to vets to recommend a very high protein diet. But there is disagreement over the use of hommade cooked diets or raw diets. My personal decision was to feed a freeze dried high pressure processed (HPP) raw diet using Primal Turkey and Sardine (affiliate link). HPP kills the bacteria that can be of concern in a raw diet. My own oncologist was fine with even a truly raw diet, but I feel more comfortable with something that is at least put through HPP. 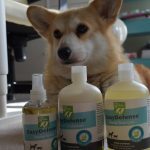 Update: Here is my post on diet for dogs with lymphoma. (3) Use of general supplements: Aside from antioxidants, there are many other supplements that have recommendations for use in dogs with lymphoma. Some, such as fish oil have little controversy. Others, such a curcumin, are touted by some as the next big thing while many conventional vets will note that there is a lack of scientific evidence that it is effective outside of impossibly high doses. Supplements can also have side effects, and some seemingly harmless items, such as glucosamine, are reported to potentially lower the effectiveness of some types of chemo (specifically doxorubicin in the case of glucosamine). It isn’t unusual to see different opinions on the use of any given supplement. There are also supplements such as essiac tea that some swear by, but that others will say are quite dangerous and could make the cancer worse. My own approach has been to not give anything that has a lot of controversy or mixed information that suggests that the item could cause harm. Personally, I am giving Ty high doses of fish oil (my favorite after a ton of research is Grizzly brand – disclosure, this is an affiliate link) milk thistle for his liver, and green lipped mussel (affiliate link) which he took before for bursitis. I added K9 immunity and apocaps when Ty was done with chemo. 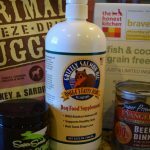 Update: Here is my post on supplements for canine lymphoma. Ultimately, the effect of the amount of conflicting information means that you have to become informed enough to ask the right questions and to question some of the options found out there. Here is my list of the resources that I found most helpful when dealing with these conflicts and personal decisions, and resources for personal stories of hope. You can follow Ty’s updates on his Facebook page. Paw prayers are with you and I will be following along this journey. I know how you feel: When something happens to our dog, having a personal reference of someone trusted who is going through it makes all the difference. Hugs. Thanks Carol! That means a lot to me! I’m sorry that you and Ty are going through this ordeal. I understand your concern about the fine line of wanting to share your story and having your personal situation exploited. My blog deals with a similar situation about how my family handled life with our paralyzed dog. I hope to read more about Ty’s journey. Sending lub & prayers – we have been through this journey twice and learned a lot. 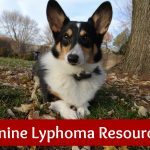 Your blog article does a lot to help educate about lymphoma in dogs, thank you for sharing this very personal and difficult part of your life. I will check back often to keep up on your journey! OMD, I’m so sorry to hear about Ty’s illness. Sending healing thoughts & prayers for him. I commend you for writing this post and sharing your journey, I know it must not be easy to write when you need so much time & energy focused on Ty right now. Sharing all the knowledge you’ve gained and your journey with Ty will help so many people. I will follow along on this journey and share with others. Thank you. Aww, I’m so sorry to hear about Ty’s diagnosis, and your predicament. I’m sure you’re suffering from information overload by now. So many questions, so much conflict, so many decisions to make. Ugh. I went through it too when Star, my German Shepherd, was diagnosed with bone cancer. She was 14 years old. It was very difficult to make certain decisions. I sympathize with you, and wish you peace, somehow, in all this. Prayers. I understand your hesitance to “exploit” your dog’s medical condition. However, from reading hear, it is obvious that you are doing a good thing for others who may be going through lymphoma with their dog. That is priceless sharing of utmost importance. I’m so sorry to hear about your dog’s lymphoma diagnosis. No one can ever be prepared enough for news like that. I will be praying for Ty and for you as you go through this together. Thank you for laying everything out so honestly. I don’t envy the decisions you have to make, but it seems like you have a good foundation for making them. Surely, your experience with this will help someone else whose dog(s) are going through the same thing. I’m very sorry to hear about your beautiful Ty. 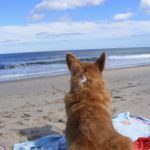 Thank you for sharing all you did in this very valuable post for anyone else facing this scary diagnosis with their dog. -hugs- I hope Ty gets through this, and your posts will definitely help other pet parents going through the same thing. I am so glad you are getting the message out and I am sure not the way you wanted to – I know I never expected a cancer diagnosis with my last Cocker. Hugs and paw prayers. Praying for you and your doggie through this difficult time. Thanks for the info. I hope Ty is well. My wife and found out today that our canine son “Athan” was diagnosed with lymphoma cancer. We were devastated. Athan is a rescue and I adopted him very shortly after volunteering with the RedCross in Alabama during the Katrina Disaster Relief. We recently welcomed our first human addition to our family so our funds are very limited and we are very worried about Athan. We are going to have an additional test on Wednesday to find out more details of what he has. Day by day now. Athan is our family member and we love him. Thoughts and prayers for all. I’m so sorry about Athan! I’m sending lots of good thoughts and prayers your way. I have some more resources and information on Lymphoma here: https://www.somepets.com/tag/dog-lymphoma/ There are also some organizations that can sometimes help with funding for treatment. One example is Bandits Bandaid: http://faithbark.com/bandits-bandaid/ Ty is doing well. He just finished his chemo protocol a couple of weeks ago and is in remission. I am so sorry for you and your family. My best wishes are with you and Ty. Thank you so much for sharing this, my dog who just recently turned 1 was diagnosed with canine lymphoma 3 days ago. Trying to figure everything out is so difficult when veterinarians are yelling surgery but this post really helped me consider my options. I’m so sorry that you have to deal with this! One is so young too! Unfortunately, I know all too well how confusing and hectic the first days after diagnosis can be. 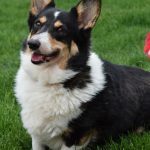 You might also find this post useful as it links to other sources for information: https://www.somepets.com/canine-lymphoma-resources/ I’m sending lots of good thoughts your way! Thank you so much for sharing this. I am so sorry you have to go trough this with your fur baby.My dog was just diagnosed today at age 6 as well. We were told even with treatment only 9 months to live is typical. So I must ask how is your Ty doing now? 9 months sounds like such a harsh prognosis to me. I’m so sorry that you have to deal with a lymphoma diagnosis. Usually the average time with CHOP chemo is around one year. Ty, however, is doing very well. He will be at two years remission in another couple of weeks. He did do T cell infusion after chemo, which may have contributed to the longer remission, but it is hard to know for sure. If you look at the lymphoma resources category on the site (link is in the top menu bar) you can see more on that and also find additional info, plus read about Bella, who has been in remission over four years. So there is always hope! My German Shepherd/Lab was diagnosed with Lymphoma a month ago. She hadn’t been eating much and was drinking a lot. There was sure a lot of researching to do. She’s 13 years and almost 8 months. She was responding to meds for holding back the already spread disease and increasing appetite, but that only lasted maybe 2 weeks. I tried aromatherapy, massage for her arthritis, and a couple of other things, but she went downhill rapidly. I just found your article, and I don’t know if it would’ve changed anything, but I wish I had found it sooner. You just don’t know what questions to ask when faced with something so devastating. It’s good to hear a success story like yours. I’m so sorry about your dog. 🙁 Lymphoma is a tough disease. I wish there was an easy cure. We are facing this decision now, which way to go with lymphoma. Our GSD just turned 9, and one his 9th birthday we received the results of his tonsillectomy (his lymphoma started in his tonsils, so we went through three rounds of antibiotics with prednisone before the tonsils came out). Then the lab sent back the bad news, and now there’s noticeable lumps on his throat and his spleen felt enlarged at the last vet appointment. Our biggest problem is that our vet is away this week, so we will not get a referral for chemo, and we are gone next week for the week. So now we’re almost at a month post op/diagnosis by the time we see her again and get the referral. Additionally he’s been on prednisone since the diagnosis, and having some issues with his breathing (his nose is stuffy and its apparent he is working harder to breathe). We just want him comfortable. We don’t need to ‘buy’ him more time, but then I came across this and it gives hope… though I’m very discouraged at our personal timeline already. All of this makes me so sad and so overwhelmed of which way to go, and what to do in the meantime before we can get into the oncologist. UGH. I feel like I’m failing him right now when all I can seem to do is give him pets and sit with him outside. I’m so sorry your are dealing with this Jyll! Do you have a larger animal hospital that you are going to or is there one in your area? If you are considering chemo, sometimes a general vet at one of those can administer Elspar, which is a quick acting form of chemo that many oncologists use to jump start the CHOP chemo protocol for lymphoma. Maybe ask if that is an option for you while you wait to see the oncologist? It could also help make him feel more comfortable for a bit even if you don’t end up doing a full chemo protocol. When my dog was diagnosed, the oncologist was out of the office for a week, but the regular emergency vet there did the first dose of Elspar for us. We were at a VCA hospital.